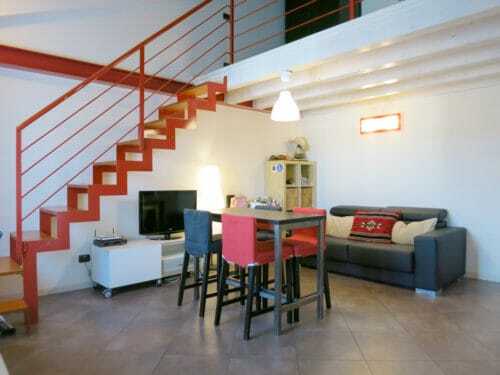 Large studio apartment Milan with a loft bedroom. On the 5th floor, with elevator, of an old style totally renovated beautiful building. On the ground floor there is the living room with a sofa bed, table and chairs and a fully equipped kitchen with dish washer. On the same floor there is the bathroom with shower and washing machine. On the loft there is the bedroom, with a double bed and a wardrobe. Walking distance from the city center and from 2 metro stops. The apartment is located in one of the most prestigious residential areas in Milan, walking distance from metro nr. 1 stops (between Pagano and Conciliazione stops). The best shops and typical restaurants, the city center, Leonardo Da Vinci “Last supper”, Cattolica or Sacro Cuore University, all the main public transports, Milano City Fair, cinemas and theatres …everything is walking distance!